Centrifugal Air Compressor - Global Cynax Bangladesh Ltd.
Ingersoll Rand offers an expansive offering of centrifugal air & gas compression solutions, powered by MSG® Centac® and MSG® TURBO-AIR® plant air compressors, as well as MSG® Process Air & Gas compressors. In addition to equipment, Ingersoll Rand also offers a variety of compressed air services including installations, system upgrades, compressed air system assessments and audits, and planned or emergency maintenance. 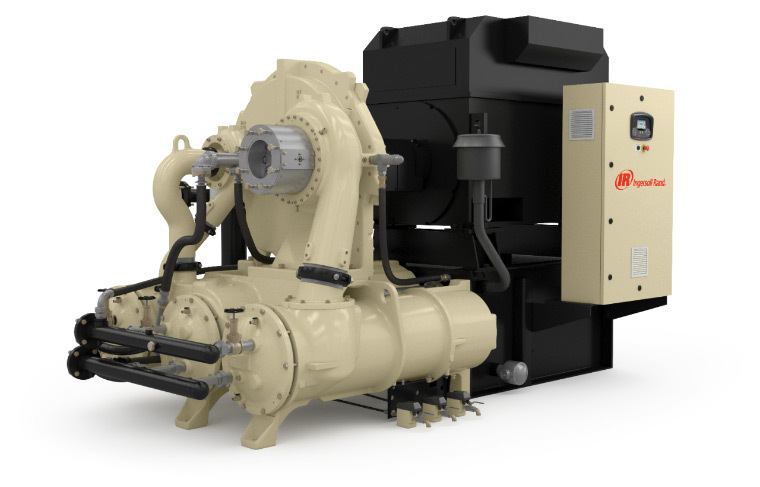 Ingersoll Rand centrifugal compressors offer up to a 15% capacity advantage over competitive two-stage, oil-free compressors. This advantage increases to as much as 30% as our capacity remains constant, while competitive capacities decrease by up to 15%.